PBSC Professor Tracy Ciucci is inducted into the Human Performance and Health Education Alumni Honor Academy at her alma mater—Western Michigan University. Ciucci is among eight WMU alumni selected this year by the Department of Human Performance and Health Education for their professional achievements, contributions and service. They were recognized during the 17th annual Alumni Honor Academy Breakfast on April 14. “I could not be more excited about it,’’ said Ciucci, who was nominated by Dr. Debra Berkey, her department chair when she worked at WMU and professional mentor. Ciucci began her career as a health education professor at PBSC in 2009. Prior to then, she worked as a softball coach at Kalamazoo College and Kellogg Community College in Michigan. She taught health courses at those institutions, Western Michigan University and other institutions, before joining the PBSC faculty. At PBSC, she quickly became involved in leading and serving on various committees at the College and initiatives to help the community. Her drive and passion for her work captured the attention of many and landed her several awards. She received a National Institute of Staff and Organizational Development Excellence Award in 2014, a Stewart Distinguished Teaching Award in 2016. She also received a Champion of Women Award in 2017 from Dr. Bernadette Russell, vice president of e-learning and instructional technology and provost of the Boca Raton campus, for hosting events and raising community awareness of domestic abuse and sexual assault. 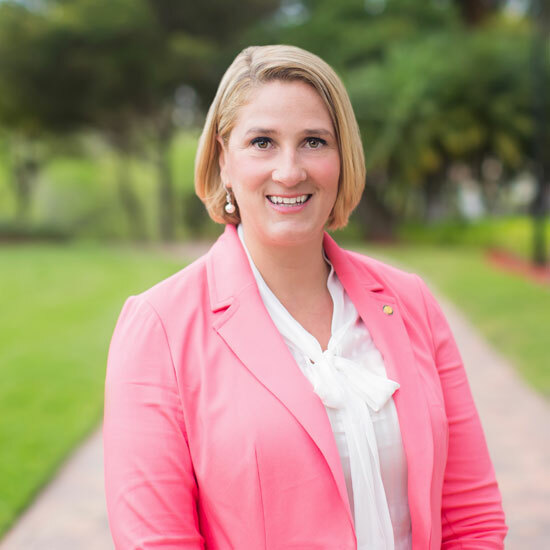 She currently serves as health science department chair on the Lake Worth campus, president of the Palm Beach State College chapter of the Association of Florida Colleges and steward and chief negotiator for the United Faculty of Florida at PBSC. She holds a bachelor’s degree in exercise physiology/biology and a master’s degree in higher education athletic administration from WMU.